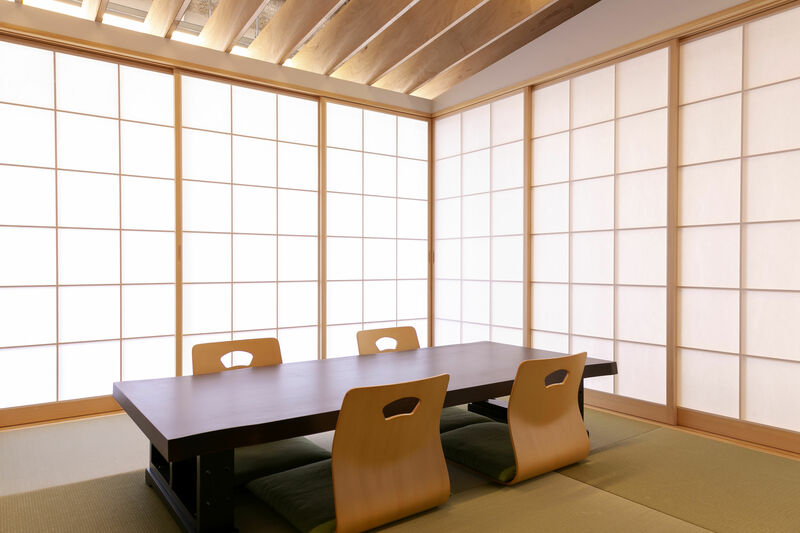 SUiTO FUKUOKA's rental space includes a Japanese tatami room, a seminar room and a kitchen. We are located in the trendy Tenjin/Daimyo area and are only a 5 min walk away from Nishitetsu Tenjin station. 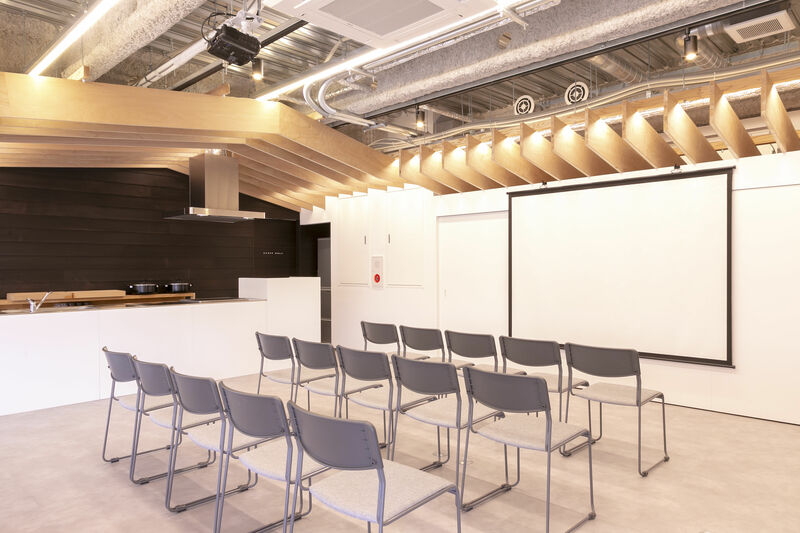 The seminar room measures 51㎡ and is equipped with 8 desks and 20 chairs. It offers space for about 50 people. Our seminar room is suitable for various kinds of meetings, yoga classes, workshops and parties during that involve cooking. The desks can be arranged in various ways like a class room style or in the shape of an U. We also provide a white board and markers for free. We offer microphones, a speaker and a projector for 540yen each. We offer microphones, a speaker and a projector for 540 Yen each. 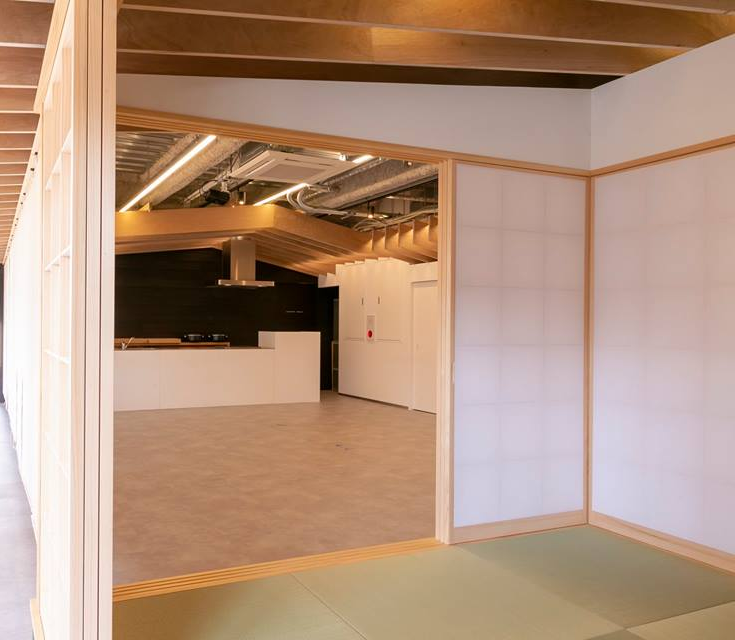 The Japanese tatami room (8.2 square meters) offers space for 4 people and is suitable for activities like a small get-together, a tea ceremony or calligraphy classes. The room is equipped with a low table and zabuton cushions. ・Japanese Style Room, Seminar Room and Kitchen are rented in 2-hour increments. ・If you need to store anything, we can accept it one day prior your reservation. ・You must take back all your garbage but we can take care of it for 500yen. ・Our Japanese-style room, seminar room and kitchen cannot be rented for less than 2 hours. ・We've got several rental options so please contact us by phone to get full details. ・If you need to store anything, we can accept it one day prior to your reservation. ・You must take back all your garbage with you unless you have us take care of it for 500 yen (tax not included). We’re open every day from 9am to 6pm.